The world of cryptocurrency trading is much more volatile than stocks or securities, but that doesn't mean it's impossible to predict price patterns for currencies like Bitcoin and Litecoin based on technical analysis of their trading patterns. Follow these quick tips to help you get a proper trading plan in place for your cryptocurrency moves. Following the current price of your chosen cryptocurrency will help you spot breakout movements. The best place to track the price is the exchange from where you've purchased your cryptocurrency. Popular trading exchanges like Coinbase and Kraken both offer robust price charts and technical analysis tools to help you understand why crypto prices are rising or falling. Before you get started buying and selling cryptocurrency, understand those price predictions are a probability game and that no move will be right every single time. Using the strategies of fundamental analysis and technical analysis will help you develop a trading strategy that will benefit you in the long term. Fundamental analysis helps you examine the underlying reasons why the price is performing the way it is, while a technical analysis attempts to predict the direction of charts based on past market data and volumes. 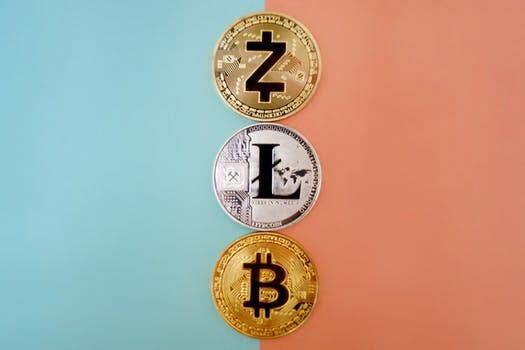 Both are useful tools to have in your toolbox as a cryptocurrency trader, but the fundamental analysis is the more critical tool since cryptocurrency trends are wild and varied. Beginning traders starting out may look at a candlestick chart and worry that there's too much involved in understanding a cryptocurrency's price movements. However, there's a lot of data packed in there that helps you make overall assessments of a currency's performance for that day. Each candle on a candlestick chart shows the opening price of the currency, the lowest and highest price in the given period, and the closing price. The color of the candle indicates whether closing prices were higher or lower than the previous opening price, suggesting a price run. Learning how to read these charts will help you spot bullish price runs that are emerging or downward bearish trends that should be weathered or sold. There are a few bullish patterns that are observed time and time again when prices are trending upward. These patterns are known as The Hammer, The Morning Star, Three Soldiers, The Piercing Line, and The Bullish Engulfing Pattern. Each of these patterns tends to represent an important event that's happening during trading, and experienced investors can spot them almost immediately when watching a candlestick chart. Once you've started following the price movements of cryptocurrency daily, the next step is understanding how these price moves are affected by things like positive and negative news. You'll notice in the last cryptocurrency boom cycle, Bitcoin and other cryptocurrencies were in the news near daily, driving up prices as average joes wanted to get on board the next big thing. However, once the news media cycle moved on to something else, the price started falling again and has settled at half what it was before the big media coverage rush started. These cycles will continue as cryptocurrency continues to gain acceptance all over the world, so recognizing them before they happen is key to making money with cryptocurrency.